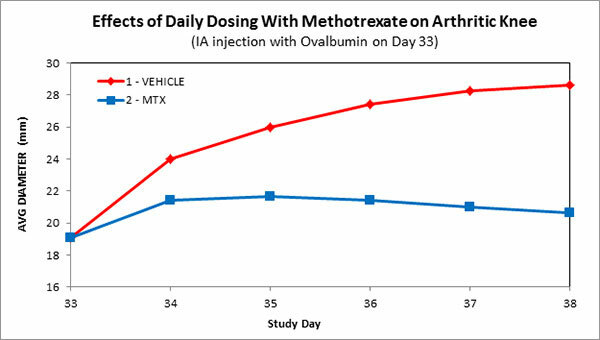 Animal models of rheumatoid arthritis are accepted as important screening tests for efficacy of test materials. 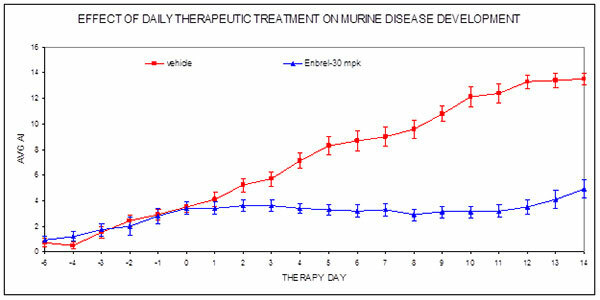 Because no single test is definitive in predicting efficacy for treatment of humans the importance of results from animal models in more than one species is recognized. 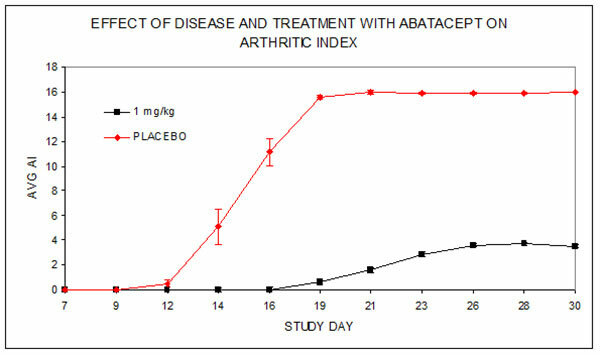 The Collagen-Induced Arthritis (CIA) model in mice or rats is widely used as an important screen for test material efficacy. 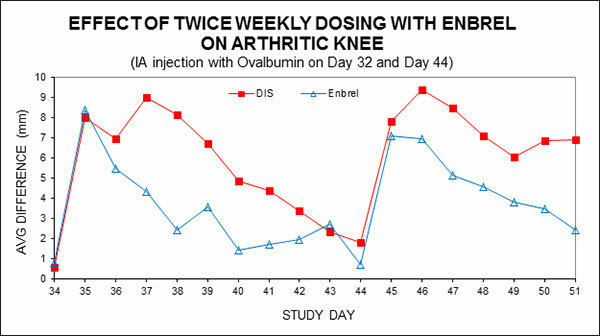 The Ovalbumin-Induced Arthritis (OIA) in rabbits is an equally valuable in vivo model although not as widely available as the CIA models. Experience with intra-articular injections is an important requirement for success with this model. Long-established expertise in procedures and results analysis. Validated positive control (methotrexate, dexamethasone, EnbrelTM, AbataceptTM, other). Recommendations for dosing routes and formulations for test materials. Experience with compound, biologics and vaccine dosing. MTD, PK to determine optimal dosing. Test results from both of these models are important to provide confirmatory assurance of test material efficacy.